Ali Qapu Hotel in Isfahan (Alighapoo Parsian Hotel Esfahan) is an ideal retreat for those who want to experience a comfortable stay in Isfahan. 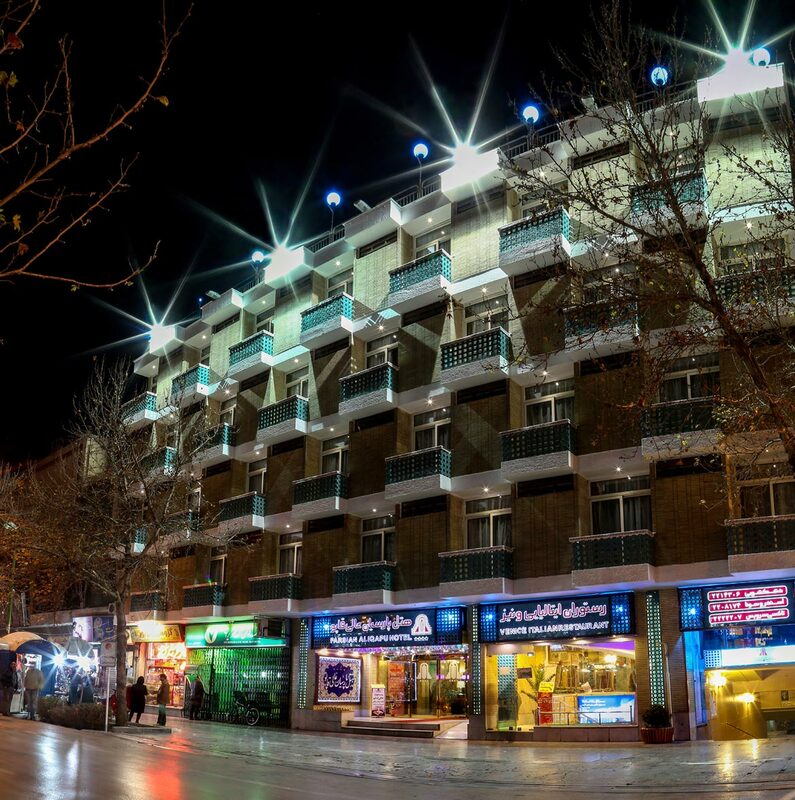 It is a 4-star hotel in Isfahan located centrally at one of the busiest streets named Chahar Bagh-e-Abbasi. You can visit the market where shops and restaurants thrive and the fascinating historical sites that will surely allure you. One of the most peculiar things about Ali Qapu Hotel is that it is built in a traditional Persian style that will provide you with a glimpse of the Persian architecture. Ali Qapu Hotel has a total of 105 rooms. Ali Qapu Hotel has different categories of rooms available for you. There is no single occupancy option available. 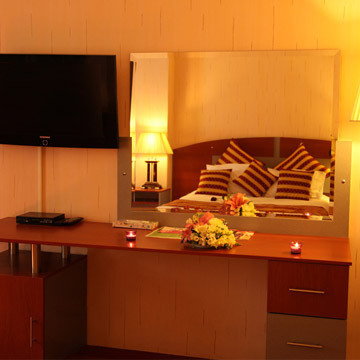 Whether you are travelling alone or you are a couple, you can book a double bedroom or a twin room and if more than two persons, opt for the triple sharing room. 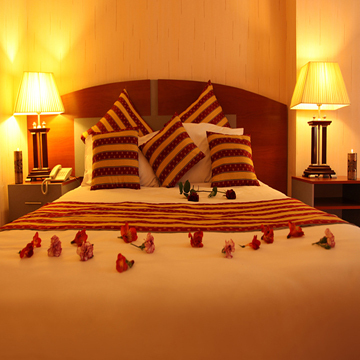 Ali Qapu Hotel also has 5 suite rooms for the people who wish to have a lavish stay. Being a 4-star property, Ali Qapu Hotel offers a wide array of facilities like 24-hour room service and 24-hour reception service. Laundry service, WiFi facility, conference and meeting halls are available at your disposal. Ali Qapu Hotel provides exchange facility at nominal rates so you don’t have to worry about currency issues. There is a swimming pool but you have to pay separately for it. There are two restaurants that serve local and international cuisine. One of them exclusively serves Italian cuisine. Moreover, you can spend your time over a hot cup of coffee in the 24-hour cafe on the premises of Ali Qapu Hotel in Esfahan. All major payment methods are available for online booking the rooms. The airport is at a distance of 25 km or a 50-minute drive. 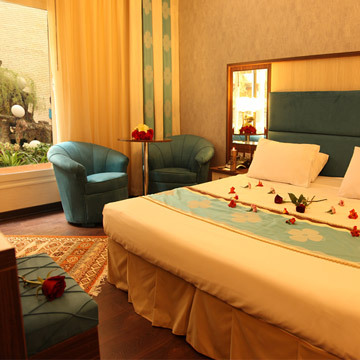 As per the reviews, Ali Qapu is one of the most sought-after hotels in Isfahan. That scores good enough in cleanliness, excellent services, and an ideal location in Isfahan city center. Simple and Easy VIP/CIP Transfer booking! We will take care of transportation to/from airport to Hotel. We always help you to know where you’re going. Explore Tehran starts at Parsian Ali Qapoo Hotel. We always welcome you to Ali Qapu Hotel, 24 hours a day, 365 days a year. We know how important the internet is. We use it all the time – for work, fun, and convenience.